Photo by Amy Salerno. Click photo to go to her site. 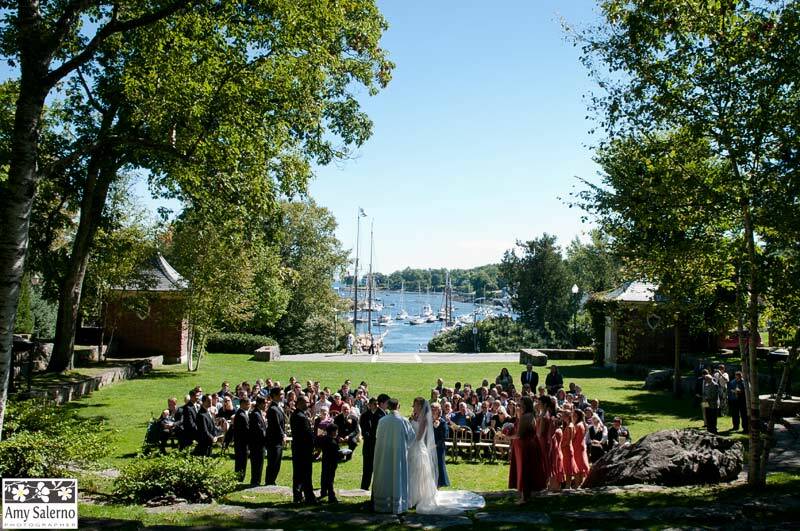 Camden Public Library hosts wedding ceremonies in two settings: in the Amphitheatre, which was designated a National Historic Landmark in 2013, as well as inside in the Reading Room by special arrangement (the original library building, built in 1928). The Amphitheatre can comfortably seat 200 or more with plenty of standing room if necessary. The Reading Room has a maximum capacity for weddings of 50, and is available on a very limited basis and only when the library is closed. The fee for rental of the Amphitheatre: First Three Hours: $950 for a three-hour reservation. The fee for a wedding in the Reading Room is $1,250. Please contact Dave Jackson directly for Amphitheatre or Reading Room rates and availability. Visit our Business Partners page to see the businesses that support the library, including nearby lodging.